The March 2016 Just Makers show is focusing on textiles. 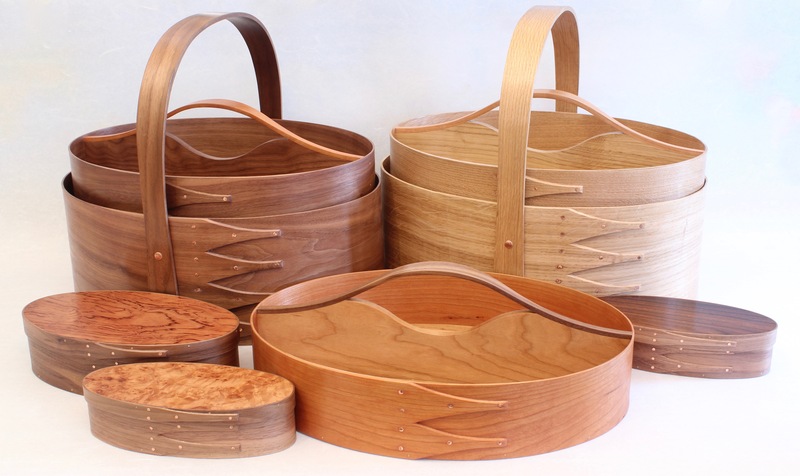 I was asked to supply some Shaker style baskets and trays for display and sale as stitching and knitting accessories. A variety of baskets and trays. Baskets with lift out trays and boxes.